Budapest has been around for quite a long time. It’s rich and adventurous history is contained within its museums. But also as the capital of Hungary it serves as a hub for all the cultural benefits of the entire country. Most of the thing you can see are from the last golden age of the city which was after the merger with the Habsburg Empire from 1867 to the Great War in 1914. In this peacuful period the city thrived and astonishing museums were erected. 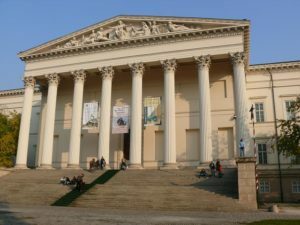 If you are looking for the best museums in Budapest we can recommend a few for you. The Museum of Arts is located next to he Heroes Square and has an amazing romanesque stlye hall. Next the entire castle consists of great museums which brings you back to the medieval era of the city Buda. Third one we can support you of visiting is the National Museum. It contains the brief history of the Carpathian basin from prehistoric times to the modern ages. It also got a beautiful garden area in the center of the city near the great market hall.